We are a leading Manufacturer of aristo serving tray, kitchen oscar tubs, glass, serving bowl, mug and jug from New Delhi, India. Product Description / Specification The product is a long life product. Bigger and better than any other chopping boards - quality guaranteed. Lavelle Kitchen's exclusively selected range we only find the best products because quality is all that matters. Product Description / Specification Keeping in mind, variegated demands of our valuable clients, we are offering a very durable range of Plastic Tub. Offered tubs have gained acknowledgment in the market for its optimum quality & enhanced durability. Furthermore, our offered tubs are manufactured utilising quality proven raw material and progressive techniques in order to maintain nationally accepted norms. Customers can avail these tubs from us at affordable rates. Product Description / Specification With our efficiency and vast knowledge of the industry, we have come up with a wide array of Plastic Bowls. 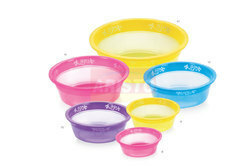 Plastic Bowls are made of hygienic food grade plastic, which makes sure that the cooked products are being served or stored in them and are not adversely affected. 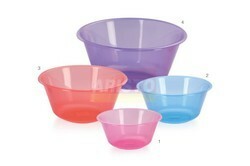 These bowls are available a variety of shapes & sizes. 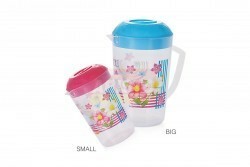 Product Description / Specification This Water Serving Jug, The best in its kind. Decent, Elegant and Fashionable looks make it the most demanded product in its category. The jug keeps its contents fresh and avoids spillage with the help of its air tight lid. 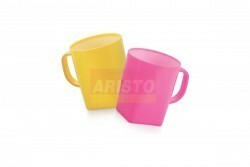 It is covered with a hinged cap for easy opening and closing and prevents spillage of liquids. Drinking just a little more water every day can make a huge impact on your health. Once used, you would fall in love with it. We recommend do not store any other liquid like carbonated water or sodas apart from water. Do not put hot liquids inside. 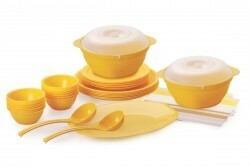 Product Description / Specification Jewel Serving Bowl – 2 PCS,Serving Spoon – 2 PCS,Soup Bowl – 12 PCS,Soup Spoon – 12 PCS,Full Plate – 6 PCS,Quarter Plate – 6 PCS,Rice Plate – 1 PC, This Product made of Virgin Reinforced PP, a 100% Safe & Food Grade Plastic Material. It is Safe for use in Microwave, Refrigerator, Freezer, and Dishwasher (top rack).It Can be used straight from the fridge to the microwave for reheating and serving. 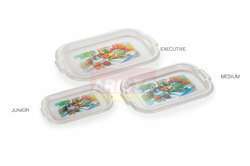 A complete solution for Serving, Storing or Heating your food. Designed aesthetically with a Unique Glossy Finish and a Contemporary Shape. Convenient to clean and maintain. Product Description / Specification Orchid bowl is used to serve food. Reflecting a brilliant fusion of aesthetics, artistry and finesse, this classic tableware with exquisitely chic designs can be conveniently used in homes as well as hotels. 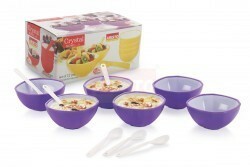 this bowl set is non-toxic and 100% food grade. Being shatter-proof and break-resistant, & highly durable and sure to last for long. You can use this dinnerware set on a daily basis and still remain stress free as its colour does not fade even after repeated use. 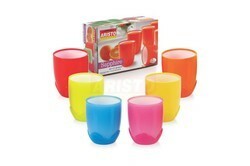 Ideal for everyday use, it is very easy to wash and maintain as it is dishwasher safe. This bellflower dinner set is sure to lure attention of guests at the dinner table. Moreover, you can purchase it for gifting others or for your personal use. Product Description / Specification Classic Serving Bowl – 2 PCS,Serving Bowl Lid – 2 PCS,Serving Spoon – 2 PCS,Soup Bowl – 12 PCS,Full Plate – 6 PCS,Quarter Plate – 6 PCS,Rice Plate – 1 PCS, This Product made of Virgin Reinforced PP, a 100% Safe & Food Grade Plastic Material. It is Safe for use in Microwave, Refrigerator, Freezer, and Dishwasher (top rack).It Can be used straight from the fridge to the microwave for reheating and serving. A complete solution for Serving, Storing or Heating your food. Designed aesthetically with a Unique Glossy Finish and a Contemporary Shape. Convenient to clean and maintain. 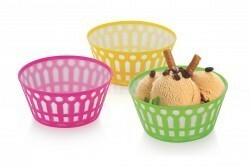 Product Description / Specification Effective colors, unbreakable bowl & spoons, use for Gift, serving ice-cream, foods, vegetables, soup serving etc….